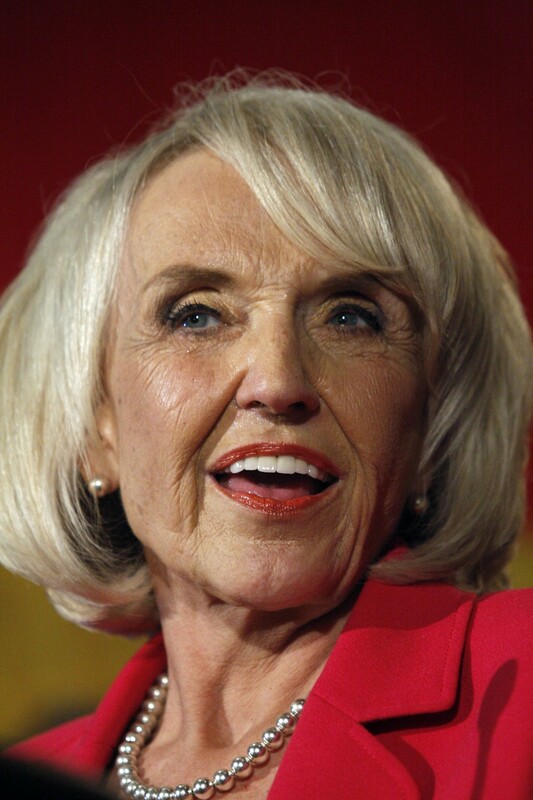 Arizona Governor Jan Brewer staunchly defended her position as a stalwart of racism and bigotry in the United States’ government this past week, signing into effect an “executive order instructing state officials to deny driver’s licenses and other benefits to young undocumented immigrants who are granted temporary legal status under a new federal program know as Deferred Action for Childhood Arrivals,” reports the Los Angeles Times. Under President Obama’s initiative, young undocumented immigrants who meet certain (somewhat rigorous) requirements, may be able to obtain a temporary reprieve from deportation, as well as valid working papers. (For more information on the plan, click here.) Brewer, who has made her ill will towards President Obama very public since the beginning of his term, is displeased. According to the LA Times, Brewer exclaimed that the president simply ‘doesn’t have the authority to snap his fingers and grant lawful status or lawful presence to people here unlawfully.’ This sentiment reeks of the rampant racism exhibited towards undocumented immigrants (as well as the entire Latino population) in Arizona through legislation such as 2010’s SB 1070, which considers it a state misdemeanor for a ‘suspected’ undocumented immigrant to be without certain documents at all times, and authorizes law enforcement to stop those they ‘suspect’ may be undocumented immigrants at their own caprice and ask for papers, in addition to presenting myriad other difficulties to the target population (though earlier this year the bill was significantly altered by the Supreme Court). Of course, Brewer should be asking herself whether she has the kind of authority to contradict the federal government. As the LA Times writes, Brewer’s Real ID Act also presents numerous difficulties at the state level, creating “a huge headache for state agencies, including the Department of Motor Vehicles, which now face the unenviable task of figuring out a way to determine who is eligible for services or benefits. That won’t be easy because other groups of immigrants also receive deferred action from deportation.” Brewer has not yet clarified any of these dicey circumstances. Though the drastic measures taken in SB 1070 may have been somewhat sanitized by the Supreme Court, another bigoted piece of Arizona legislation is going to be bound for the courts within the next year.